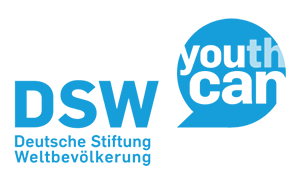 DSW launches UNFPA SWOP Report in Germany – The power of 1.8 billion! Today, Nov. 18th, DSW published the German version of UNFPA’s State of the World Population (SWOP) Report in Berlin. The theme of this year’s SWOP Report is the potential transformative power of the 1.8 billion young people alive today. As this incredible generation has the power to shape our world, their needs must not be overlooked. They are the movers and leaders of tomorrow – but they will not succeed unless we prioritise their needs. Today, up to 60% of young people in low- and middle-income countries are not working or are in school. Over 500 million youth survive on less than two US-dollars a day and girls are still discriminated against in many countries. Girls living in poverty are more likely to acquire HIV, suffer from malnutrition, and receive less (if any!) education than adolescent boys. In these countries, 20,000 young girls under the age of 18 give birth and over 39,000 girls become child brides – every day. We need to invest in the future of these young men and women for the benefit of this and coming generations. 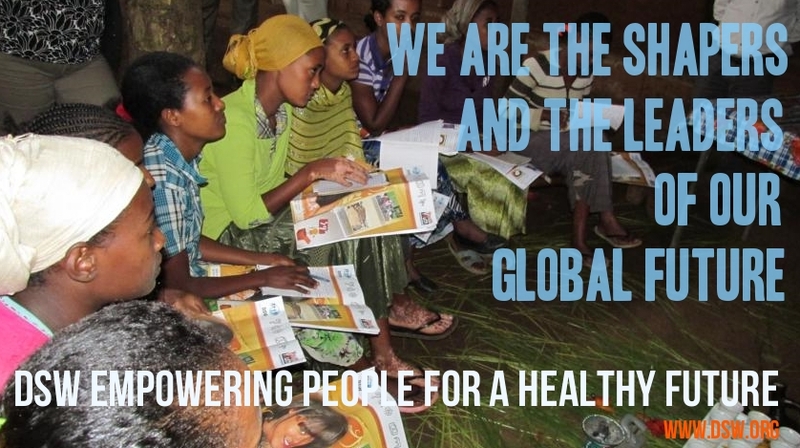 When young people are healthy and educated, they have a chance for a better life. Supporting girls and women to get the tools to fulfil their rights and gain access to information and services to be better educated and healthy, can lead to multiple positive repercussions such as a reduction in unintended pregnancy and death during childbirth, leading to a brighter future and a more sustainable world. This is why DSW prioritises young people in all our activities in the countries where we operate. DSW has been working at community level for many years to provide girls and young women the opportunities they need to thrive. Via programmes such as our Youth-to-Youth Initiative, we’ve reached 640,000 young people in 2013 with sexual and reproductive health and rights information in Ethiopia, Kenya, Tanzania, and Uganda. Through the thousands of young people involved in another of our regional projects, Fit for Life, we have empowered beneficiaries to make informed decisions. As a result on this initiative, for example, over 50 percent of project beneficiaries are now using contraception on a regular basis cutting the risk of an unintended pregnancy or catching an infectious disease. Investing in youth not only benefits them, but also their families, communities and nations. In order to overcome the many obstacles in their way, young people need to be at the centre of the future Post-2015 Development Agenda. And we need to help them get there.